We are excited to announce that Chef Shola Olunloyo will be bringing his Studiokitchen concept to Vetri Cucina’s private dining room beginning in August for a unique bi-monthly year long residency in collaboration with Chef Marc Vetri and the Vetri Cucina team! Shola is a member of the Philadelphia restaurant community where he has carved out a creative niche in modern cooking instruction as a consulting chef. The Studiokitchen was created as a research and idea space to support his manufacturer partner and client projects. Classically trained with a knowledge base that appeals to restaurant operators interested in created higher consistency, he uses contemporary cooking techniques to create increased value and high impact flavor. His Studiokitchen has exposed guests and clients to an entirely unique approach to dining by immersive exploration of various culinary concepts, global ingredients, and useful modern cooking technology. The guests experience an immersive, fresh, and flavorful meal. The Studiokitchen is continuously changing and adapting to support his many different projects. 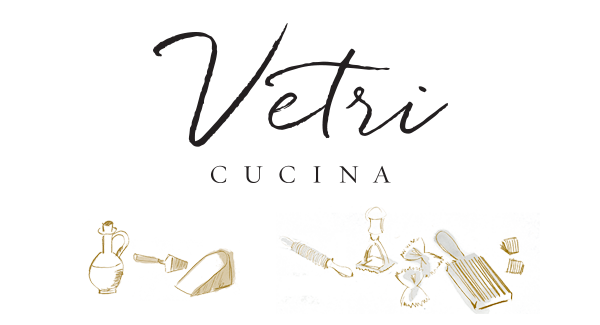 We are so honored to recreate Studiokitchen here at Vetri, and we hope you can join us for this exclusive series of collaborations. *Menu is at the chef's discretion. Dietary restrictions will not be accommodated. We are excited to announce that Chef Shola Olunloyo will be bringing his Studiokitchen concept to Vetri Cucina’s private dining room beginning in August for a unique bi-monthly year long residency in collaboration with Chef Marc Vetri and the Vetri Cucina team! Join us for an afternoon of wine tasting and learning, while enjoying a meal prepared by our chefs in our private dining room. This winter series will lend its focus to Southern Italy, and this particular class will highlight the region of Calabria. Occupying the "toe" of the country’s boot-shaped peninsula, Calabria is a sun-baked region of rugged mountains, old-fashioned villages and historic wine culture. We will venture into the the regions like Ciro and taste through all the delectable expressions of the region. To learn about upcoming news and events, please complete the form below to be subscribed to our email lists.